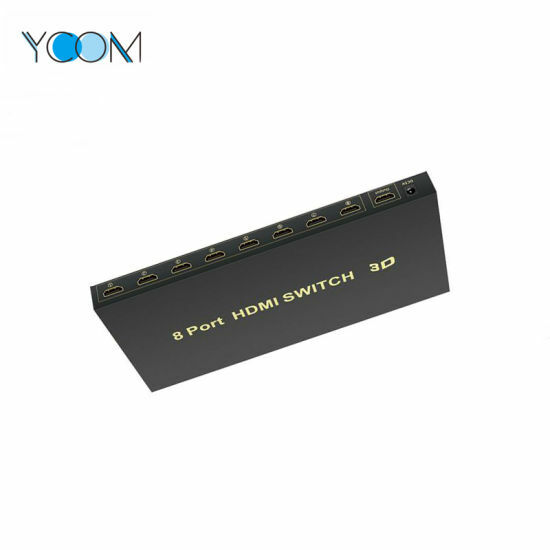 HDMI Switch, HDMI, Switch manufacturer / supplier in China, offering YCOM HDMI Switch 1in 8 out 1080P Switch for HD, Ycom High Quality Single Core Audio Digital Fiber Optic Cable, 2.1 a High Speed Aluminium Alloy USB Type C Cable and so on. 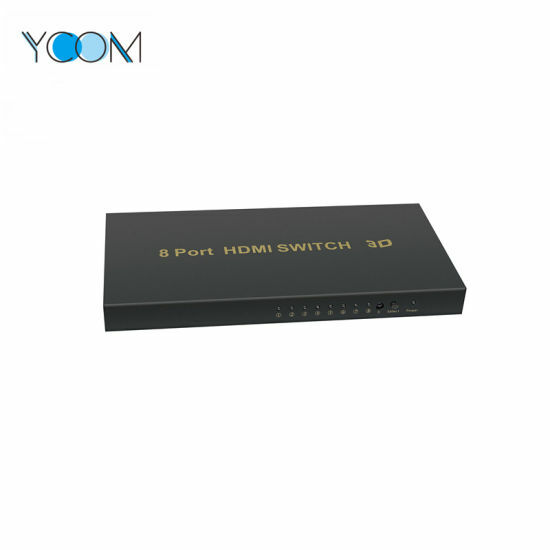 The 8X1 HDMI Switch device can connect eight HD Sources to two HD Displays; it can easily switch and distribute any one of the input eight HD Source signals to the 1 Displays. 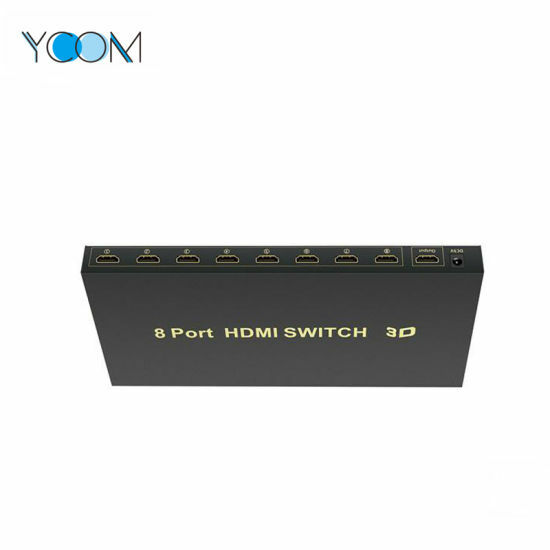 Split one HDMI input signal to eight HDMI signals output displays identical to the input signal simultaneously without loss of quality. 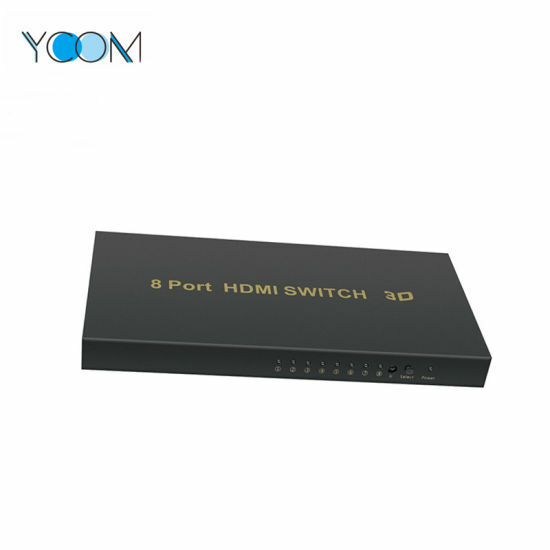 Supports 1080P and 3D: 3D video and high resolutions up to Full HD 1080P and 1920x1200, plus 480i/p, 576i/p, 720p and 1080i, 2.25Gbps 255MHz per channel bandwidth. 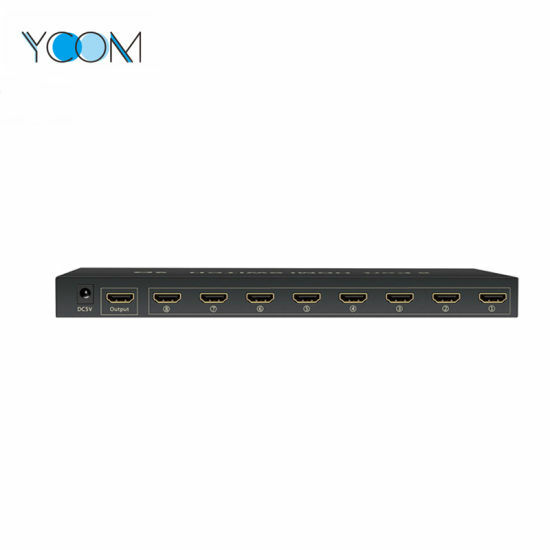 We specializing in R&D production and sales & marketing of high-quality computer peripherals and mobile accessories, especially the audio & video cables, such as HDMI, MHL, VGA, DVI, Displayport, Fiber optic cable, USB Cable, Cat5e, Cat6, Cat7 and Power Cord etc.